Tarred with a brush of traditionalism and conservatism, the Financial Services (FS) Industry is often, though wrongly, assumed to be averse to the latest technologies and IT innovations. Nothing could be further from the truth. A mere glance at the state of today’s industry will soon dispel such misconceptions; recent developments in mobile payments, contactless cash, eWallets, and peer-to-peer lending have made the industry more diverse, exciting and disruptive than ever before. On one hand, attempting to predict the future can feel like something of a fool’s errand, but it’s just too irresistible to put a finger in the air to check which way the prevailing winds are blowing. The pace of innovation has shown, time and time again, that organisations who fail to take note of the latest developments in their market are leaving themselves at a serious risk. Staying on the cutting edge of the industry means keeping track of and anticipating the latest trends, while having the agility to, at a moment’s notice, capitalise on the new tools and techniques presented to the market. Critically, what is perceived as being slow-adoption is, in fact, nothing less than a commitment to security and data privacy. Given the economic importance of their work, it’s no surprise that most FS organisations will tread carefully. However, that fears over the security of cloud computing have been put to bed we can expect a substantial increase in adoption. If 2015 was the year of validation, then 2016 will be one of unstoppable growth. We can expect to see accelerated take up of ‘as a service’ solutions; no one wants to look backwards now when the necessity of change is so plainly obvious. While cloud security is no longer an issue, the discussion over data privacy is set to reach a fever pitch. Thanks to an ever changing landscape – including the anxieties over the Safe Harbour legislation – the challenge to stay compliant despite shifting demands could soon become too much for many FS businesses. Indeed, cloud may soon be the safe option for many global organisations as they become unable to keep their in-house IT up-to-date with new regulations. Entrusting responsibility for compliance to a third-party provider could well become the sensible option. With the emergence into the FS mainstream, cloud computing has thrown up a new challenge for businesses. 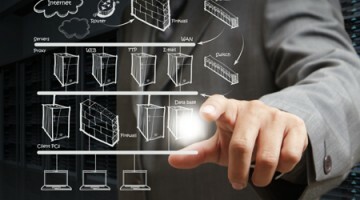 Forget implementation, now the industry needs to learn how to manage their cloud deployments. Where does cloud start? Where does it end? In 2016 we’ll see a rise in concerns over governance, with the topic rapidly rising up the board agenda. With so many vendors, so many options, and such easy access from the wider business: how can IT departments maintain order? With the vast number of applications and services being brought in, organisations are in danger of adopting a ‘wild west’ approach to IT and the next year will see IT departments working hard to control their entire estate. For FS, it’s all about being more responsive. And with as much info as possible, scenario planning can be improved and made far richer. We all know that today’s business is far more immediate – you need to be fast. Too many FS organisations are still operating in a state of disconnection, unable to connect the dots between related functions. Over the next year, cloud computing will help ensure a greater emphasis on integrated business operations. Understanding your organisation can’t happen from siloed data. It’s vital to understand how the connections between different departments impact each other, and ultimately the bottom line. Here is to the next 12 months, to new business models, and exciting new technologies: may they bring disruption and innovation; may they shake the status quo; may they leave the FS industry unrecognisable.